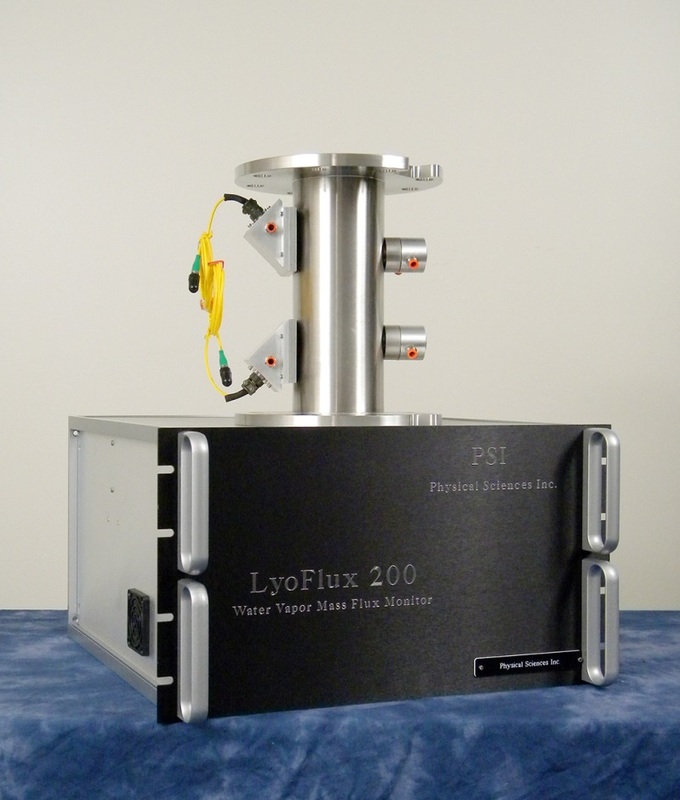 The LyoFlux® 200 is an innovative two line-of-sight tuneable diode laser absorption spectroscopy (TDLAS) based device for continuous monitoring of laboratory, pilot and production scale lyophilization cycles. Operating in conjunction with SP Scientific’s LyoStar 3 development freeze dryer the LyoFlux® 200 enables users to better understand instantaneous changes in water vapor mass flow, and thus the sublimation rate for a given product during freeze-drying. This is of particular importance for products processed in atypical container systems including syringes and PCR microplates. The LyoFlux® 200 has also been shown to provide highly sensitive end point determination for both primary and secondary drying; continuous mass balance determination; real-time calculation of average product temperature and resistance as well as assessment of heat transfer coefficients for vials (Kv) or other containers. The LyoFlux® 200 can be used for performance testing and design space calculations on a freeze dryer. Compact in design the LyoFlux® 200 can be installed and utilized on all sizes of developmental freeze dryers. Current applications supported are: Lyophilizer OQ/PQ: ice slab sublimation tests, choked flow determinations, Rapid determination of relationship between chamber pressure, shelf temperature and mass flow rate for QbD based cycle development, Cycle development: primary and secondary drying endpoints, Determination of vial heat transfer coefficients (Kv), Continuous determination of product resistance to drying (Rp), Continuous determination of dry product thickness (ℓ) during drying, Continuous determination of batch average product temperature (Tb and Tp), Scale up experiments and technology transfer.